My friend lost everything in Hurricane Michael - UPDATED x 3! A buddy of mine from the old days just lost his house in Panama City, Florida. I am poor as a church mouse myself and don't know what to do to help him but to beg for alms. Asking for money is like my least favorite thing in the world. 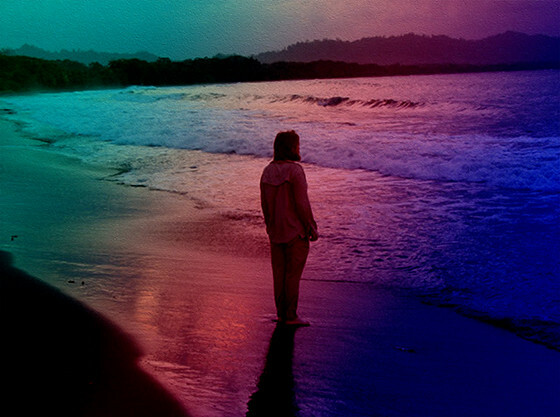 I never ask for myself – well I did once when I was stranded in Costa Rica – but otherwise never. I understand that these are tough times in general and most people I know are scrambling to make it. But if you're more fortunate than that and would like to give a little to a truly righteous cause – this one is. He's an old hippie rock-n-roll musician and a fine human being. Thank you in advance for your kindness and generosity. We have to take care of each other in this world. More people need to get that message. I'm just glad I know so many people who do get it. If you are able to help, I'll be very grateful. If not, believe me, I get that too. Strange times and getting harder by the minute. Haven't got much, OPOL, but will send what I can. Much luck to your buds! @Wink Much appreciated, Wink. Thanks very much. I just sent $50.00 to John in your name, I wish it could be more but that's all I can afford right now. You, my friend, are a generous and kind soul, thank you for that. A friend of yours is a friend of ours. Come on folks, let's help John and his family out, even if it's a couple of bucks, now is our time. @JtC And very generous. Thank you very much. considering that I got angry yesterday that a supposed garden-helper was too lazy to do the work with a chainsaw to cut off branchen of my sisters wildly growing bushes and trees, I would love to help this man get a chainsaw. (Can you imagine that in Germany you need a license to use a chainsaw?) But I am not sure how to do this with the address you gave at paypal.me/bluepapa. If I log into paypal, they ask for a name, an email address or a handynumber (mobil phone). I hate paypal for wanting our mobil phone numbers now. Jerks. So, how can I donate? OPOL, how are you? Keep your head and heart above the water, if you can. Warm greetings to you and your son. I still remember a photo you posted once with your son turning his back to those who looked at the photo, overlooking an ocean, I imagined he had some deep thoughts going through his mind. I think it may have been in Costa Rica. @mimi Thank you, mimi. Always wonderful to hear from you. Daniel is in Budapest, Hungary but is due home by Thanksgiving. He's doing well. I hope your son is too. I am waiting to receive an email address for you (thank you so much for helping). Is this the photo of Daniel you mentioned? less colored and him standing really with the back to the viewer. Good for you that your son can come back for Thanksgiving. My son at the moment is inside the crater of the Heleaka and hikes up to see the sun rise that will bring him to his birthday. #3 Thank you, mimi. Always wonderful to hear from you. Daniel is in Budapest, Hungary but is due home by Thanksgiving. He's doing well. I hope your son is too. I am waiting to receive an email address for you (thank you so much for helping). Is this the photo of Daniel you mentioned? Thank you again, dear heart, for all your wonderfulness. 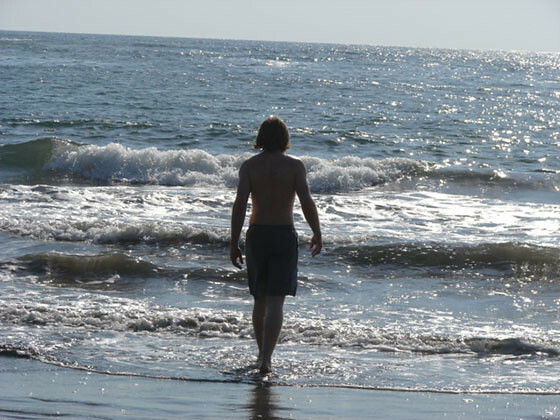 Maybe you meant this photo of Daniel's first encounter with the Pacific. Wishing you and your friend the best! If you pm me or post here an address where a check could be sent by Luddites like me I'll send what I can. My friends in Quincy are still without power and continue to cut their way out of the yards and neighborhoods. All the best to all those caught in the storm! @Cassiodorus Thanks, Cassi. I appreciate the help very much. From what I hear, you'll love Oregon. I've been told that both Portland and Eugene are particularly nice. Best of luck. I don’t know this guy from Adam, however..
the Panhandle, New Mexico Beach are my neighbor though, as is the whole of all of our world. Thank you for giving me, and any of us who can, the opportunity to feel like we are somehow helping in admittedly in a small way in all of this distruction, For allowing us to try to spread some good. “ A friend in need, is friend indeed “ has been and always should be our motto and our cred. @Sirena That is so good of you. @Sirena That is so good of you. Thank you very much. i can handle a tenner (or two?). but it may be just as important to send them prayers (even of the apatheist sort), good vibrations, and loving thoughts. @wendy davis Thank you very much. #7 Thank you very much. devastations brought by Michael since oct. 10 with the inestimable help from gulf gal. so were were fairly tuned in to how many folks had lost their houses, belongings, and so on, and had ♥ for all of them. @wendy davis And right on about the good vibes. Hope he got it? Was sent from afar and w love. Wasn’t that much or nearly enough, but what hopefully as some of us learned, if nothing else, in vast numbers, through small donations, we can be a force to be reckoned with. When we help one, we help all of us. @Sirena Right on. A bunch of small kindnesses can add up to one great one. @Sirena And thank you again. For helping us to be able to help one of us. A real human being. And for our help going directly to him, where he needs it. I hope more wiil contribute to the cause, even its fiver. #8 And thank you again. hoping someone can offer advice. I think most policies are based on the actual cost to rebuild a destroyed property, by fire, anyways. But i'm not sure. Do ask if we can help in other ways; are you and family safe for now? vibes for a good rebound without too much red tape. Take care, so glad you are here, peace. @fakenews Sorry to hear about your home. Glad you're okay. Best of luck. as it always seems that something comes along to upset my monthly plans of robbing peter to pay paul. but i will try to get something together for your friends; it may take a little while. Thanks for caring for your friends and hope that you are well. @smiley7 Thanks. Any help at all is appreciated but don't do yourself harm. Great to hear from you. a friend in jail in bum fu*k Oklahoma. @lotlizard Hey brother. thanks for dropping by. Good to see you. Thanks for helping me stay sane back in the day on DK. I sent your friend a few pesos. @i dunno I appreciate that very much. Thank you. @i dunno Sorry to go O/T here, but I was wondering where you were these days and am just happy to see you here! You were my inspiration at DK with the IGTNT diaries. Hope you are well and pop up more often! @moneysmith Thanks! I've been registered here for a while and lurking off and on. #11 Sorry to go O/T here, but I was wondering where you were these days and am just happy to see you here! You were my inspiration at DK with the IGTNT diaries. Hope you are well and pop up more often! @i dunno But it's good to see you. Hope you're doing well! #11.2 Thanks! I've been registered here for a while and lurking off and on. Sorry to hear about this, so many people losing everything. I'm just gonna go out on a limb here and guess that the government is doing nothing, as usual? @moneysmith From what I hear, that's about right. Thanks so much for helping. #12 From what I hear, that's about right. Thanks so much for helping. Another DHF. He has many good used chainsaws. See what we can do. Good luck. Sorry I did not see this yesterday we were out of town. Do not post or comment just lurk but I do donate to the site and if I can do that I can donate to a friend in need. like all the rest here would like to see you post more here like you did at the orange place. Would like to add all of my thoughts and best karma to all that have been affected by this storm. @strider58 Very cool of you. Thanks for the kind words and for pitching in to help out a good soul. Those folks are having it pretty rough down there.